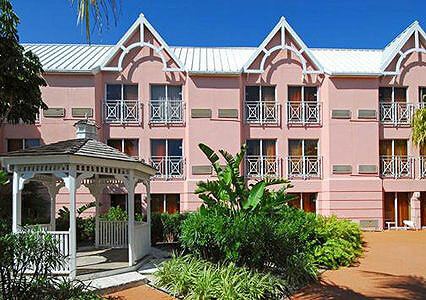 Comfort Suites is a budget-friendly resort located next door to Atlantis Resort on Paradise Island, Bahamas. 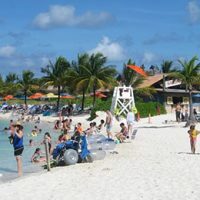 The hotel has its own pool and is in the heart of Nassau’s Marina Village shopping and dining area, but its claim to fame is a connection to Atlantis: The hotel is the only property on the island that is allowed to provide full use of Atlantis facilities to its guests at no additional charge. 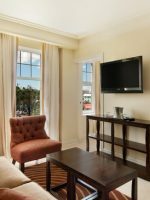 Recently renovated, comfortable all-suite rooms feature sofa beds and dividers between sitting and sleeping areas, as well as empty mini-refrigerators and in-room microwaves. The multi-million dollar renovation included new bedding, beds, draperies, lamp, artwork and rugs. Guest bathrooms received new granite countertops and lighting. 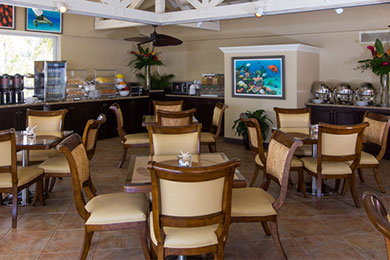 The property also refurbished the onsite restaurant, Crusoe’s, with new chairs, tables, and dark wood buffet cabinets. The hotel’s lobby, patio deck, parking lot and wedding gazebo also received a facelift. 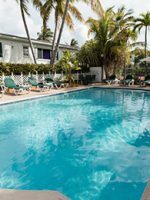 A pool is located next to the hotel’s restaurant, the latter providing free breakfast to hotel guests daily, as well as a light lunch option. The hotel features coin-operated laundry and provides free Wi-Fi in-room and in its business center. A free shuttle will drop your family at Atlantis’ various hotels. Learn more about Comfort Inn and Suites. Comfort Suites features 223 renovated junior suites with a sitting area and a sleeping area separated by a half divider. Rooms come with either a king-sized bed or two double beds and both come with a sleeper sofa. Unfortunately, even with two double beds and a sleeper sofa, only four people are permitted in a room, so families with five or more are required to book two rooms. Rooms are equipped with a small flat-screen TV, free Wi-Fi, mini fridge, in-room safe and coffeemaker. Microwaves are available by request at no charge. Rooms feature either garden or pool views. The hotel is not located directly on the beach and does not provide beach views. Super friendly and accommodating staff made family stay really nice. 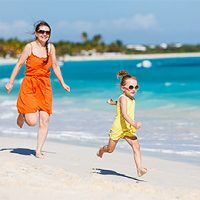 This was our first visit to Paradise Island as a family, and I was looking to make it relaxing for my husband and myself and fun for our boys (13 and 9). After reviewing what others said about the properties in Atlantis and Comfort Suites, the decision was simple: CS won as a best value hands-down! CS is literally across the street from the Beachband Coral Towers in Atlantis. This was nice bc we could enjoy the excitement of Atlantis and escape to a quiet, calm environment when we wanted. 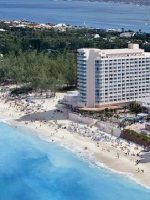 If you stay at CS, you get access to Atlantis- Aquaventure, The Dig, the many aquariums throughout the property, casino, theatre, beaches, lounge chairs and towel service. They serve a decent breakfast with hot and cold food options, juice and coffee /tea. It tends to be the same things each day, but it’s conveniently located and included with your stay. I am not a great traveler. I like to have my own shampoos, mousse, lotions, etc., but with travel restrictions and electing not to check a bag, I had less of everything I wanted or needed. HOWEVER, GISELLE at the front desk was AMAZING! I asked to purchase extra soaps and shampoos and she would not have it. She was quick to offer me as many of whatever I needed at no cost. THEN, she decided to triple that amount - which really helped us out and got us through the week. She just wanted us to enjoy our stay. Oh, did I mention that when we needed extra pillows and blankets, GISELLE made that happen at the speed of light? She made sure we were absolutely as comfortable as possible. As if that wasn’t enough, upon learning our sons ages, she found that the price of our room needed to be adjusted.... down! She saved us another $300+. The stay just kept getting better and better with discount dinner cards and information about anything else we needed. We also had a friendly waiter (Conrad) at Crusoe’s restaurant... most everyone was kind and warm. Michael served nice frozen drinks at the bar, Michelle was also a favorite at the front desk. Pool was fine, lobby and eating areas clean. Housekeeping kept our room stocked and tidy, the property was clean and all employees were busy working with pleasant personalities. Hey, really was a decent place with the best staff I could have hoped for! The room ac was a little loud, the faucet to the sink had some issues and pull out couch for the kids could have been better, but overall, this place was great! Could not beat price or the wonderful CS employees. 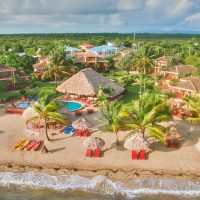 We’ve stayed in nicer hotels where common problems with the rooms and amenities happen, so it’s kind of the same woes you’d find anywhere no matter what you pay. I would recommend CS to those traveling with or without children. 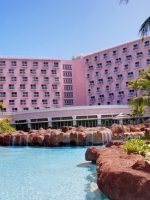 We chose to stay at this hotel because it wasn’t as pricey as staying at any of the Atlantis towers and because access to Atlantis is included with your stay. 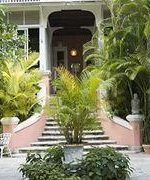 The location is great being that it is on Paradise Island and right across the bridge to downtown Nassau. The hotel staff were very nice and helpful. The free breakfast was a plus, but don’t expect much from it. WiFi worked well in the hotel. We had an issue with our first room on the lower floor. During the first night we experienced a moldy smell in the room. I told the front desk and they told me that house keeping would come check they room. House keeping never arrived, so Gizel, the kind lady at the front desk kindly switch our rooms the the 5th floor in the other building. This room was a lot better we had no further issues. The refrigerator in the room is a plus for keeping food. You can book excursions in the lobby area. Atlantis is right across the street so you can walk over and enjoy the resort at anytime. The hotel has a pool, which is relatively quiet because most families go to neighboring Atlantis Resort to enjoy its exclusive features. Atlantis' Aquaventure Water Park with river rapids, waterslides, beaches and pools is a popular draw, and because the bigger kids prefer the water park of Atlantis, the Comfort Suites pool is actually very good for younger kids or escaping the crowds and chaos. Atlantis' kid-friendly attractions also include an aquarium, dolphin swim, kids' club, teen nightclub, 'tween club, golf and a teen-friendly spa. All Comfort Suites guests enjoy complimentary access to Atlantis' facilities. The free hot American breakfast is served daily from 7 to 10 a.m. in the newly renovated Breakfast Salon. A light lunch menu is available in the restaurant or poolside, where there is also a swim-up bar. Located by the pool, this casual indoor/outdoor restaurant serves breakfast, lunch and dinner. Guests will also find a swim-up bar at the pool, which is open from 11 a.m. to 7 p.m. The hotel features free Wi-Fi, as well as a business center with free computer and Internet access. 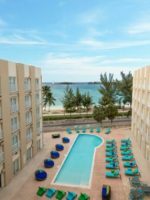 During high season, which runs from the holidays through spring break, rooms start at $300 per night, which is a considerable difference from most of Atlantis' rates, making the hotel a good choice, even during peak season. Nassau is located in the hurricane zone, with hurricane season running from late summer to early fall. Nassau is just 35 minutes from South Florida and 2.5 hours from New York. 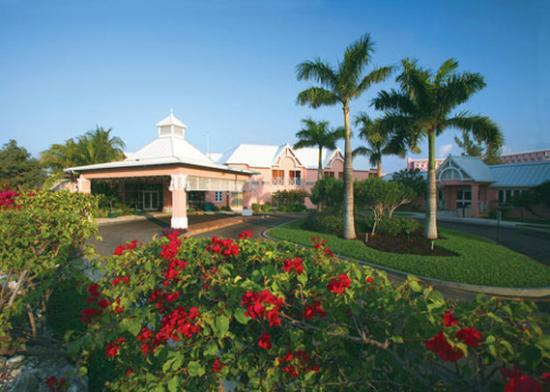 Comfort Suites Paradise Island is 30 minutes from Nassau International Airport. A free shuttle will drop your family at Atlantis' various hotels. Adults can enjoy a cocktail at Bamboo Lounge located off the main lobby. The Bamboo Lounge is open from 4 until 11:30 p.m., daily.